1 Preheat the oven to 180°C. Season the ribs and roast for 90 minutes. 2 To make the marinade, fry the onion in the canola oil. Once caramelized, add the spices and fry for a few minutes until fragrant. Add the remaining ingredients, mix and reduce until sticky. 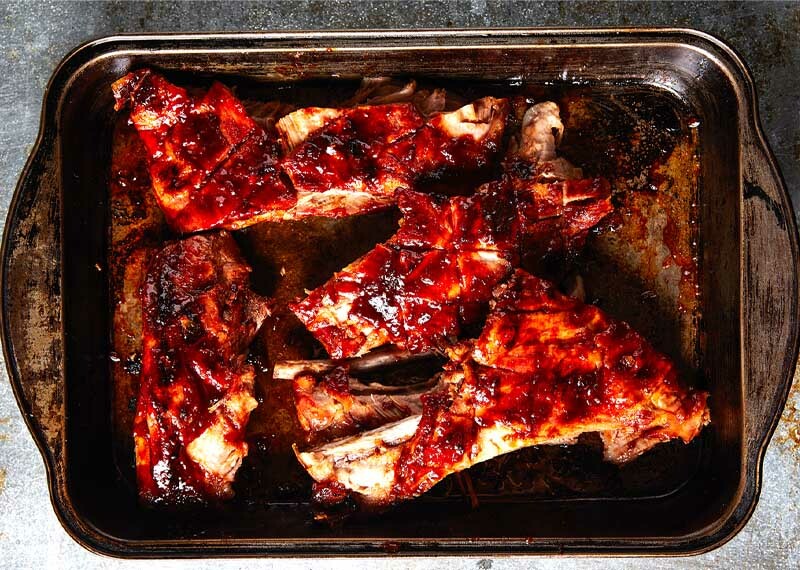 3 Remove the ribs from the oven and baste with the BBQ marinade. Return to the oven for 10 minutes, basting often until sticky and tender. Reserve a little marinade for serving. Cook’s note: Serve with coleslaw or make one with celery, fennel and apple. Toss in some of the maple salad dressing.